Whether you have a business in Westfield Burwood, are located along Parramatta Road, live in a Federation house in The Appian Way or across the road from Burwood Park – you need to protect your family, employees and valuables. 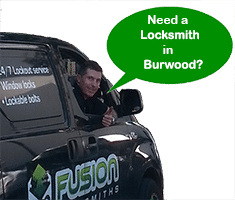 Meet your local Burwood locksmith, Fusion Locksmiths. We have been solving lock and security issues in Burwood for over 9 years. 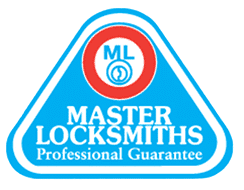 With thousands of customers under our belt, Fusion Locksmiths have seen all types of locks and we know the best way to fix them. We also know the best locks to install to suit your family and business security requirements in Burwood. From a simple rekey to fixing sticky locks and installing state of the art electronic locking systems, we can recommend the best system for you and your budget. Our specialty is our 24 hour lockout service. So if you find yourself locked out of your house or car in Burwood, Fusion Locksmiths can get you back inside, feeling safe and secure once again. As Sydney local locksmiths, we can get to you real fast, so there is less waiting around. We will be there when we say we will, because we know how important your time is to you. All our locksmiths have had the highest training possible and hold security and locksmith licenses. We have many years providing locksmith Burwood services under our belt. 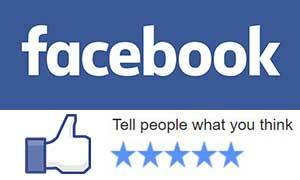 This experience gives us the know-how of Burwood locks and security. Burwood criminals are no match for our security measures. From residential to commercial security, we have you covered at every entrance point. Using the latest in modern high security locking devices and advanced security devices, we ensure your Burwood premises remains secure at all times. Want to replace or update your locks? When was the last time you checked your window locks? Want a detailed security assessment of your property? For the best results at competitive rates, request our locksmith Burwood service today. Contact us now.